I often hear from those of you who remember our original Imperial Tea Court in Chinatown that you will never forget the birdcages. So this string of birdcages as lamps caught my idea and reminded me of happy and challenging days when we were just beginning our life in tea in San Francisco. 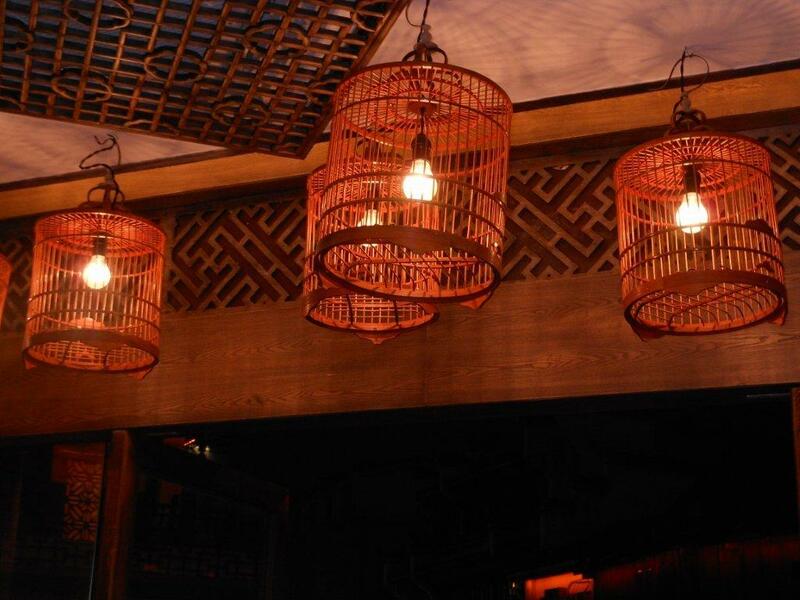 Bird cage lamps in a Chinese tearoom. This is for all you customers who have been loyal for twenty-something years.